If you are deeply in debt and considering filing for bankruptcy, you are probably worried and brimming with anxiety. Not only must you fend off collection calls, but you must think about the possibility of bankruptcy, which can be a complex and confusing process, what a bankruptcy will be like, and how you will fare after the bankruptcy case is over with. However, by understanding the following seven aspects of bankruptcy, you will be more prepared to take the next step to a life free from debt. Bankruptcy is not an "in and out" process. Bankruptcy opens your finances to public scrutiny. Are you uncomfortable with merely discussing your salary with your friends and family? In bankruptcy, you must be prepared to expose your financial life, mistakes and all, to the public. If you file for bankruptcy protection, you will be required to file an extensive package of paperwork called the bankruptcy schedules. The schedules will list your debts, assets, income, expenses, and recent financial transactions. You will also be required to attend a meeting of creditors. During the meeting, the bankruptcy trustee will ask you probing questions in a public room. Any of your creditors can also question you at the meeting. Although bankruptcy trustees usually strive to keep the proceedings as dignified as possible, the meeting is a public proceeding and will be held in private only under extreme circumstances. This can be an very uncomfortable and embarrassing process for many individuals. Be prepared to air your financial dirty laundry. Honesty and complete disclosure are required. Total and complete honesty is of the utmost importance in bankruptcy. It is the position of bankruptcy courts that only the honest debtor is entitled to a discharge of debt. This means that you must list all of your property, debts, and creditors. If your lack of honesty is discovered, not only may you lose the bankruptcy discharge, but you may face investigation by the FBI. Dishonesty in bankruptcy is a serious federal crime. Bankruptcy forms are complicated and require great attention. Many people perceive bankruptcy as simple and straightforward, as it is mostly based on forms. Unfortunately, bankruptcy forms are more like confusing tax returns than "check the box" forms. The forms contain complex, seemingly trick questions about your financial affairs. It is necessary to give yourself sufficient time to digest the bankruptcy forms before filing for bankruptcy. The most critical forms include Schedules A through J and the Statement of Financial Affairs. An experienced consumer bankruptcy attorney can help you understand the information necessary to complete the forms and to avoid the pitfalls that can cost you property, money or even your freedom. The bankruptcy discharge is personal. The discharge is the ultimate goal of bankruptcy. It bars your creditors from ever attempting to collect debts from you. This means that the bankruptcy discharge is personal and only protects you. It does not eliminate the debt itself. For example, if you are one of the co-signers on a home loan and you file for bankruptcy, the debt is not wiped out. The lender can still seek to collect the debt from the other co-signer on the loan. This is a particularly important consideration if you are a co-signer with family members or friends that are not going to file for bankruptcy. To be found worthy of the discharge, you much be honest about your finances and provide compete information. Even after your discharge is granted, if the court discovers that you defrauded the court or your creditors, the court can revoke the discharge. Filing for bankruptcy is not cheap. Although you may be in financial ruin, filing for bankruptcy can cost you a significant amount of money. The amount largely depends upon whether or not you hire an attorney. Retaining a bankruptcy attorney may cost anywhere from several hundred dollars to several thousand dollars. However, even if you prepare and file your own bankruptcy case, the filing fees alone are substantial. Destitute debtors may find relief from filing fees by petitioning the bankruptcy court for a fee waiver. The court will base its waiver decision on your income, which generally must not be greater than 150% of the federal poverty level. 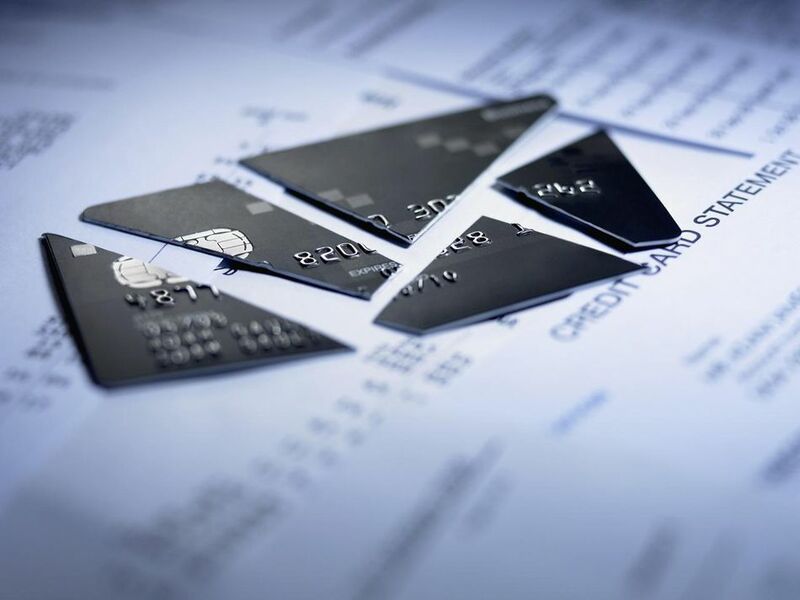 Filing bankruptcy can affect your credit for years. It usually takes about two years for a typical bankruptcy debtor to start recovering from a Chapter 7 case. Many creditors will shut you out. But, that does not mean that you will not be able to get credit. In fact, some creditors jump at the chance to loan money to a former debtor, and to charge you a hefty premium for the privilege. You will also have to work at improving your credit score by taking on small amounts of credit as you are able and repaying it strictly according to its terms.